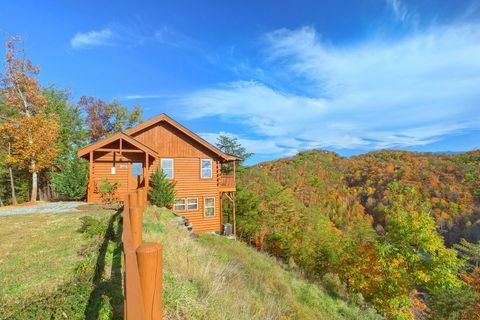 Scenic View Log Cabin Rental - "Higher Ground"
"Higher Ground" a scenic view log cabin rental in Wears Valley, Tennessee, rests minutes from Pigeon Forge and offers endless 280-degree Smoky Mountain views! 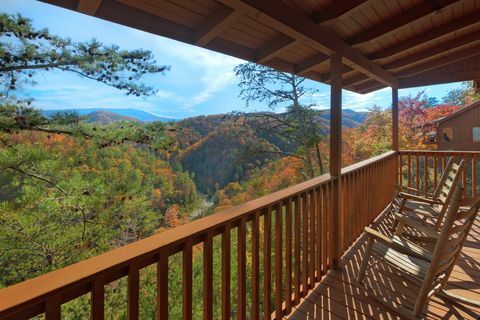 The views from this cabin are just spectacular all year long but are especially beautiful in the fall. 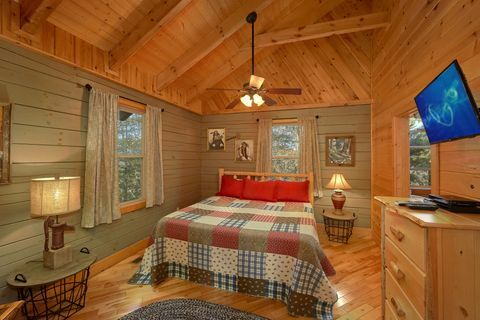 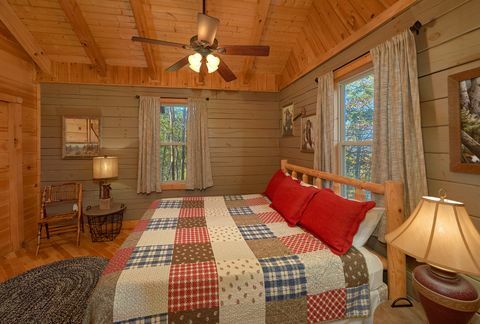 "Higher Ground" is a comfortable 2-story, 1-bedroom cabin accommodating up to 6 guests. 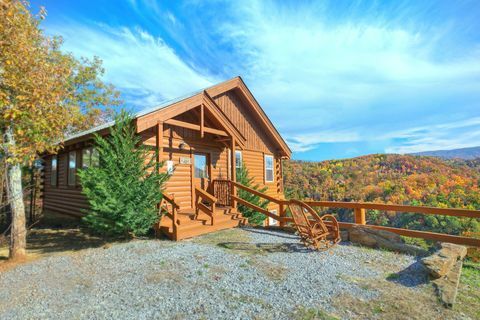 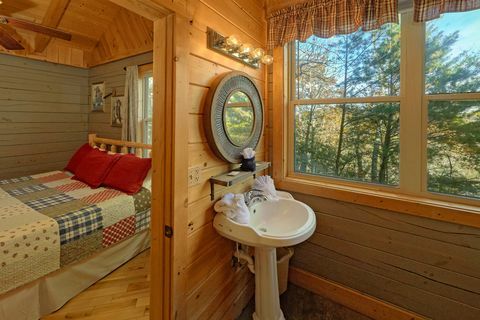 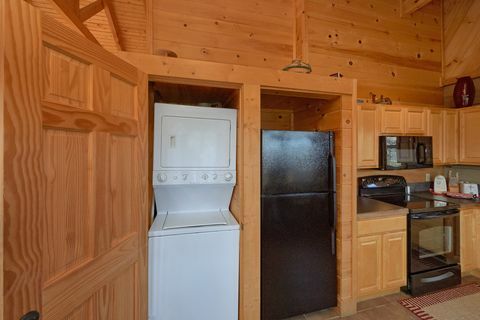 Because of its location in Wears Valley, this cabin rental is perfect for families and couples preferring relaxation but still want easy access to dozens of Smoky Mountain attractions available in nearby Pigeon Forge, Townsend, and Cades Cove. 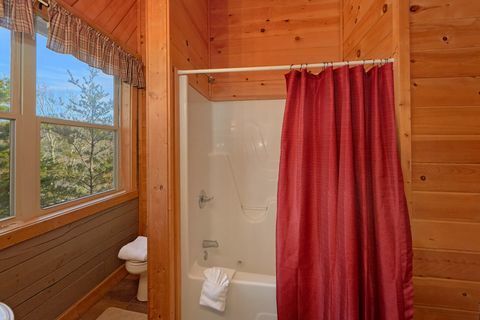 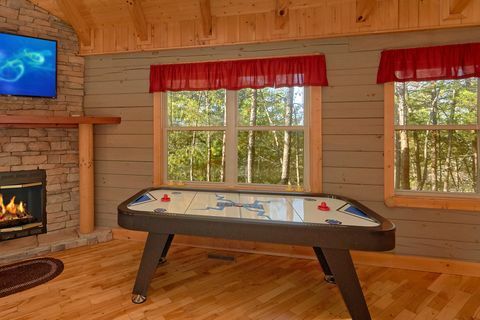 Your scenic view cabin has everything you need for a weekend getaway or family vacation. 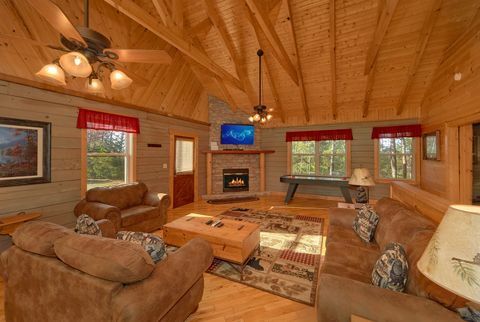 The cabin’s spacious living area offers a sleeper sofa nearby the gas log stone fireplace. 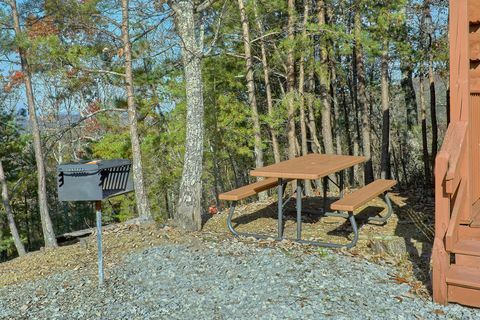 Enjoy saving on family meals with the cabin’s fully equipped kitchen and charcoal grill. 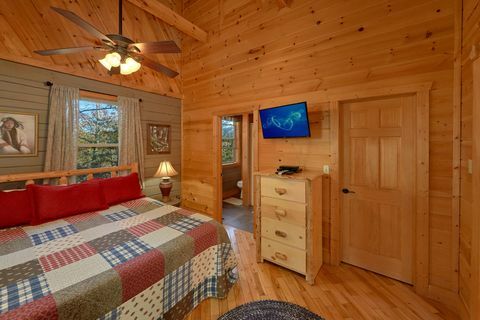 Your main level bedroom provides a king size log bed, television, and attached bath with jacuzzi. 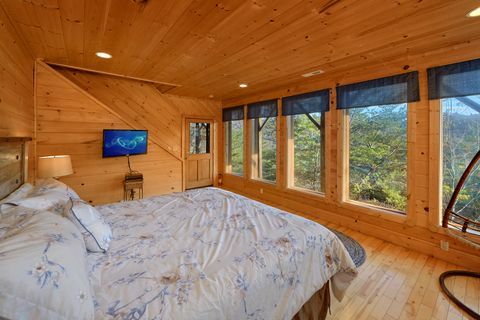 The lower level sleeping area provides a queen-size bed, television, and several floor-to-ceiling windows with breathtaking views of the Smoky Mountains. 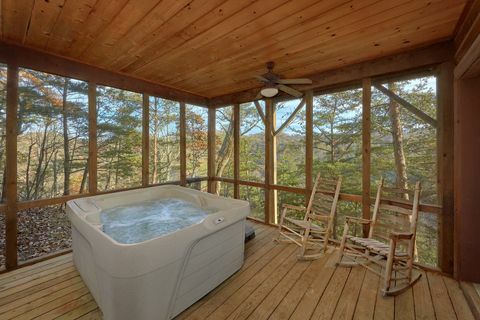 Outside, two large decks offer several rocking chairs for you and your guests to enjoy spectacular sunsets over Wears Valley as well as a relaxing hot tub. 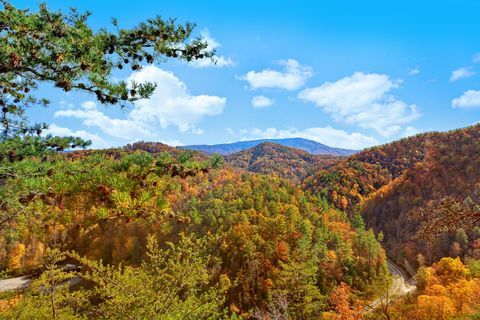 "Higher Ground" is within walking distance of "Hilltopper," "Bear Hugs" and "TipTop," the perfect location for family reunions or small church retreats. 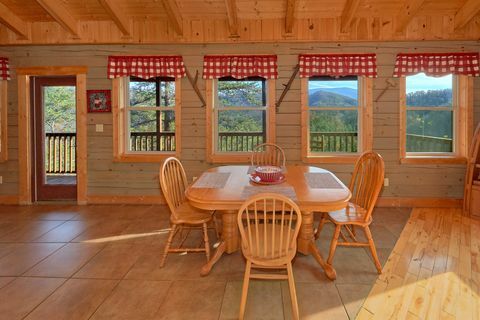 Four wheel drive vehicles are strongly recommended for this cabin in the mountains during the winter months. 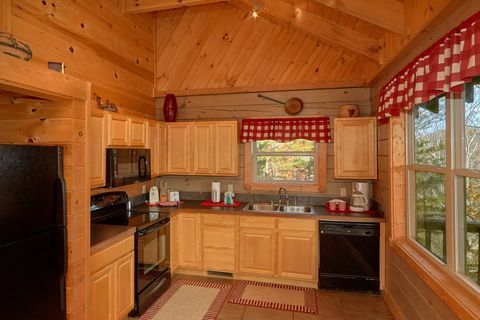 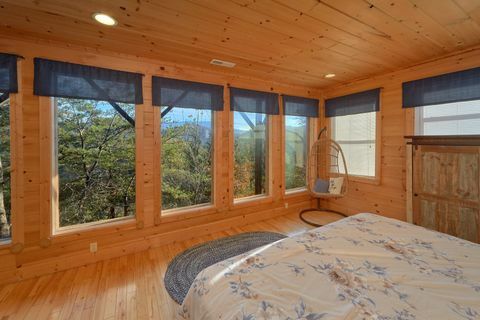 Book your scenic view log cabin rental online to get your immediate 15% discount and make "Higher Ground" your most memorable Smoky Mountains getaway!